We now have Hurricane Irene on route to the eastern seaboard. Possibly a strong 3 from all the forecasts. There is much to do at our garden to prepare for the winds and potential flooding which could ensue. Move all potted plants to a protected place, and cluster them together for wind protection. 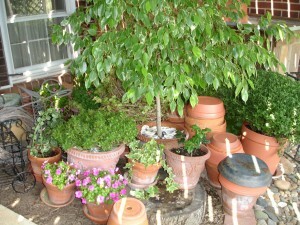 I started by moving all the potted plants, and other small garden accessories under the deck. The pots are touching, to give them support against the wind. We are expecting the wind to come in from the Northeast, and the deck is on the Southeast side of our house, so this will hopefully give the pots the most protection. Next, we removed the lattice panels from the arbors, laying them flat on the deck. 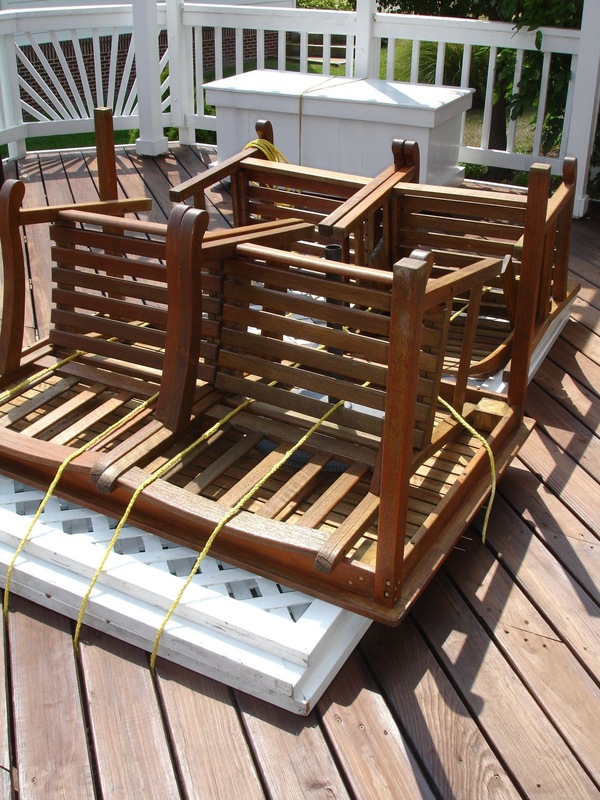 We then flipped the patio table, adding it to the pile, then the chairs. I strapped the whole pile to the deck and joists below. Strap down all outdoor furniture. We have also removed the propane tank from the grill, and stored it in the garage. The grill will also be tied to the railing, as well as the deck box, holding all the chair cushions. 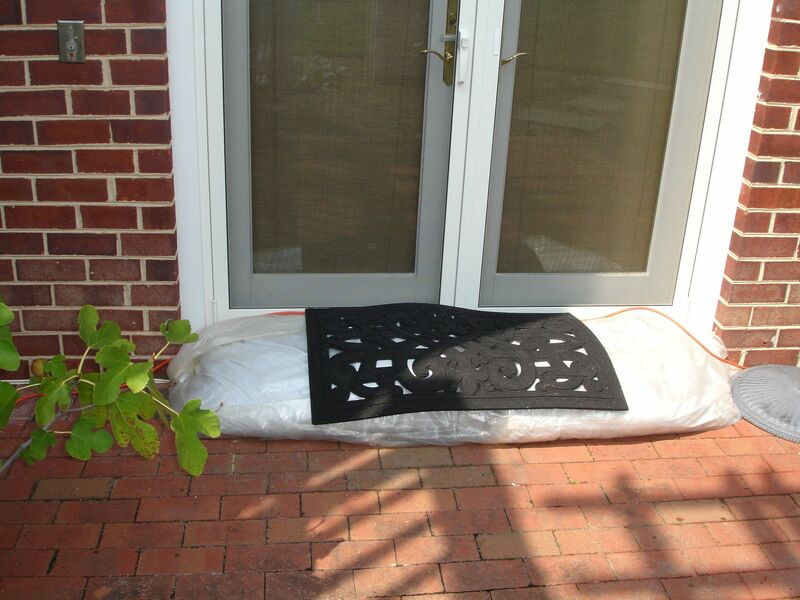 It is a good idea to bring in or tie down anything loose in your yard. In high winds things can become projectiles, causing more damage than anything else. Don’t forget to check any low-lying doors and windows. We have a walkout basement with French doors that are at the lowest part of the yard. We sandbag the door, laying down plastic first to give extra protection. There is also an outdoor sump pump closeby, just in case. Sandbag all low lying doors and windows. 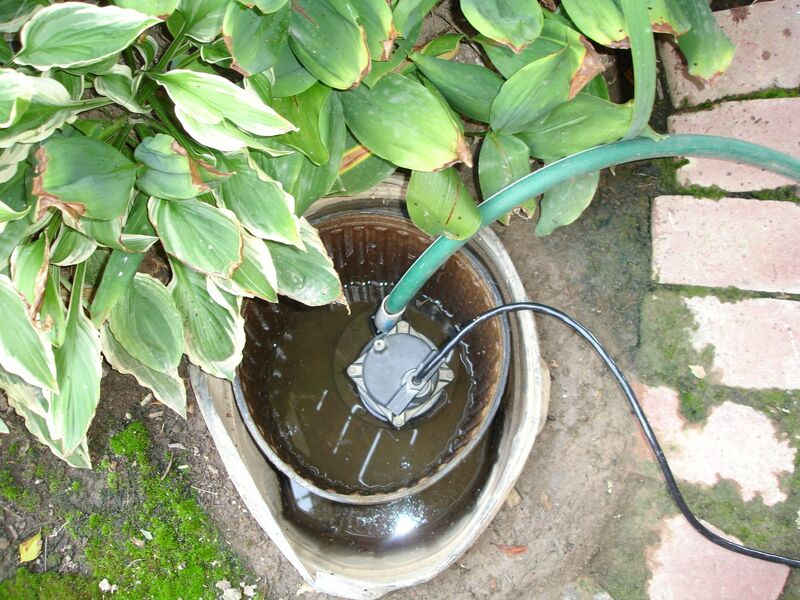 If you rely on a sump pump, make sure you have back-up battery capability. If a storm is that intense, you could lose power, and will be very glad you have back-up. Check all arbors, swingsets and even small trees to see if they might need to be tied down, or staked. Its also a good idea to check your gutters and storm drains for anything which might or is blocking them. Lastly, make sure your rain gutters on the house are cleaned out as well. An outdoor sump pump can give added peace of mind in an intense storm. Just make sure you have a battery back-up system in place. Mother nature is the biggest force we know, when she decides to make herself known, it can be quite daunting. I hope my tips will help you protect your garden. Stay safe!